There's an unfortunate divide when it comes to financial planning. The lower your income, the less likely you are to have a financial plan. But it doesn't have to be that way. 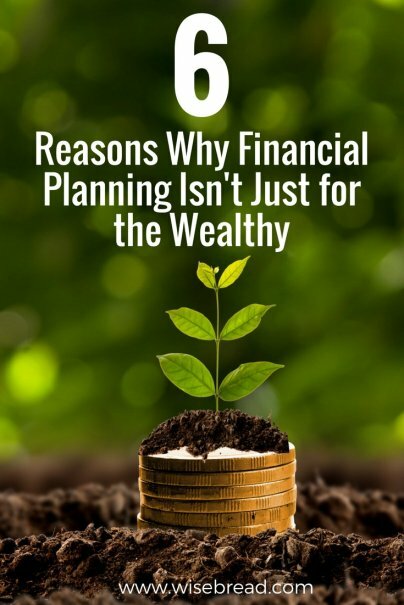 A 2016 Financial Engines report found that only 37 percent of American workers with yearly incomes between $35,000 and $100,000 have a comprehensive financial plan to grow their wealth. Meanwhile, 48 percent of workers with an annual salary of more than $100,000 do have a plan. What's more, wealthier Americans tend to have more comprehensive financial plans than those followed by middle-income earners. The problem with this is obvious: Financial planning can help everyone, not just people with higher salaries. But too many lower- and middle-income earners think that they don't make enough money to warrant having a financial plan. This is dangerous thinking, as lacking a financial plan can scuttle your efforts to save for retirement, help pay for your children's college education, or even buy a home. Here are six reasons why you need a financial plan, even if you don't make over $100,000 per year. How much money do you need to save for a healthy and happy retirement? Without a financial plan, you probably have no idea. And how do you accumulate these savings? Again, if you don't follow a financial plan, the odds are likely that you won't meet your retirement goals. When you get to the end of every month, is your bank account nearly drained? Do you know where your money has gone? If not, a financial plan can help. Do you want to buy a house? Or maybe you dream of helping your children pay for their college education. Attaining big financial goals such as these is a far more challenging task if you don't have a financial plan to guide you. A financial plan will spell out how much money you'll need to reach life's big financial goals — everything from saving enough for a down payment on a home, to buying your first car, to saving enough money to help your children graduate from college without mountains of student loan debt. If you died unexpectedly, what financial ills would fall on your children or partner? If you invest in life insurance, you can help protect these loved ones in case you do die. The 2013 Household Financial Planning Survey and Index, completed by the Consumer Federation of America and the CFP Board of Standards, found that those with financial plans tend to have less credit card debt and, when they do, are more likely to have a plan for paying it off. What happens if your car's transmission goes on the fritz? What if your home's furnace conks out in the middle of a chilly night? If you don't have an emergency fund built up, you might have to pay for those repairs with a credit card. Even worse — what if you suddenly lost your job? This is why that cushion is so important. Financial experts recommend that you have at least six months' to a year's worth of daily living expenses saved in an easy-to-access fund, like a savings account. Now that you know why a financial plan is so important, it's time to create one. The good news is that while a financial planner can help, you don't necessarily have to work with one if doing so is too costly. Start by creating a household budget that shows how much you spend each month, including estimates for discretionary expenses, and how much you earn. Then, determine how much money you need to save for retirement, college tuition, and building an emergency fund. If you can't save a lot, start by saving whatever you can each month. From there, you might be able to boost those savings by reducing some of your less important expenses.